We are excited to announce that computer motherboard manufacturer ASRock Rack has made a donation of a server motherboard (model C2750D4I) to the Tanzanian Digital Library Initiative! The contribution is an especially important core building block of very large digital library systems. 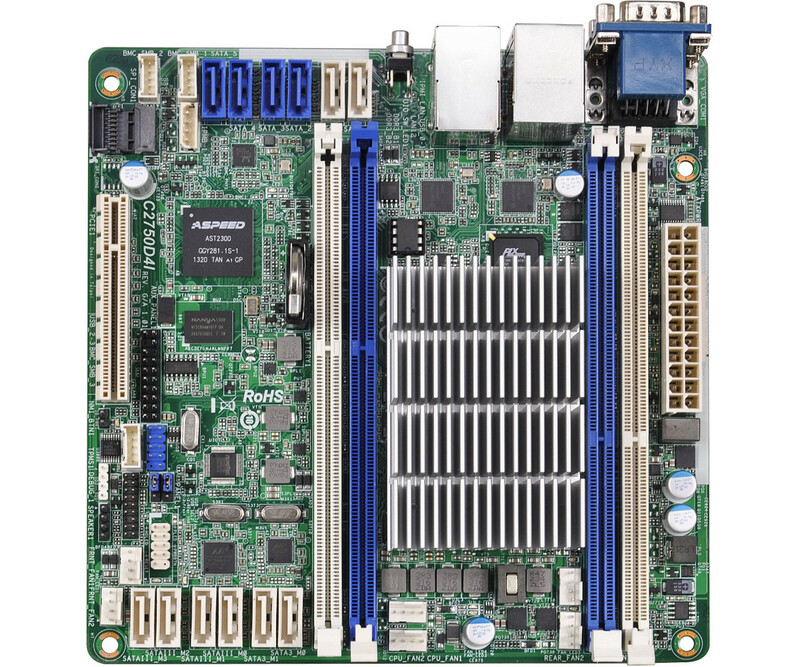 Detailed information about the board can be found on their website [ASRock Rack]. This motherboard has a number of important features which set it apart from many others, and which make it especially suitable for use in powering a digital library. It is very energy efficient, requiring only 20 watts of electricity. This is usually the power required to sustain a dim light bulb. Power savings translates into cost savings for communities over the life of digital libraries. While it doesn’t require much electricity, it is still extremely powerful. Designed with cloud computing in mind, the board has eight independent processing units in the same CPU. In practice this means that hundreds of users can be connected to a single library machine at any given time. It supports a large number of storage drives, an important feature for a digital library. 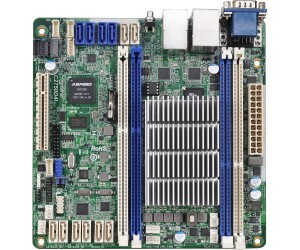 Most boards of this type typically have 4-6 ports for connecting disk drives. This board has 12, which means that additional costly expansion devices are not needed to increase the capacity of digital libraries. It supports a type of robust memory can detect and correct data corruption. This increases the reliability of systems that are powered on all the time. We look very forward to reporting on our future installations making use of this board, it already has a very strong reputation for reliability in various environments. Thank you ASRock Rack for supporting digital library and education in this way. We are extremely grateful!